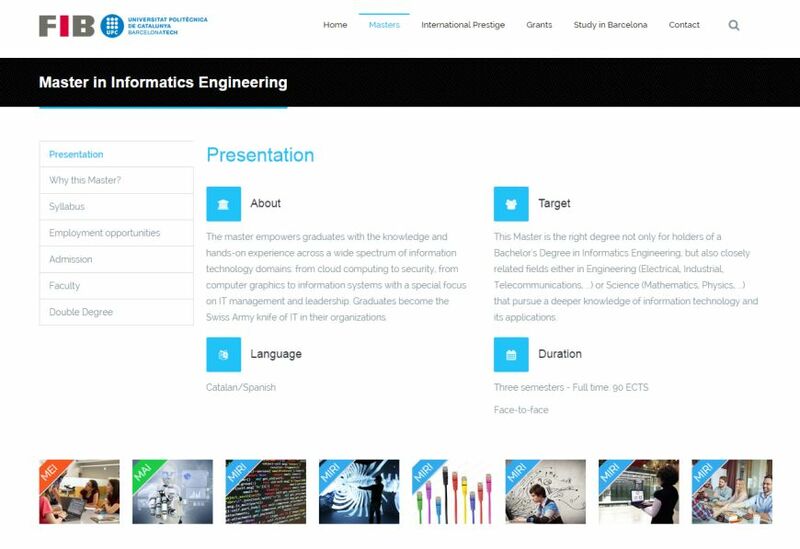 The masters web of the FIB is a project promoted by the Barcelona School of Informatics together with the inLab and aims to promote FIB's masters. 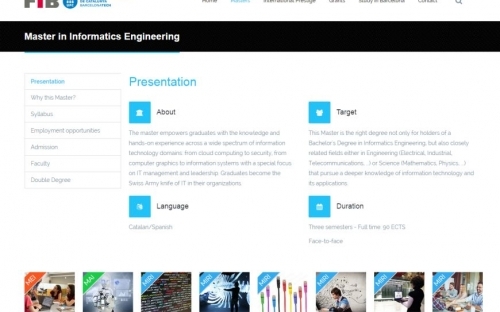 So far, the information taught in the FIB's masters was on the corporate website of the faculty. 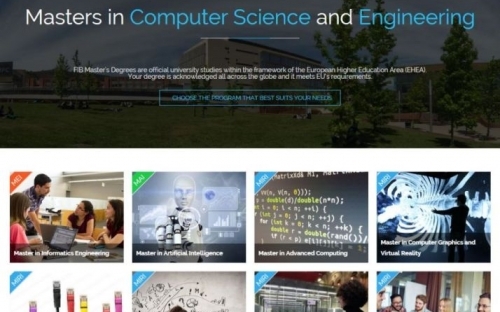 This site contains information on all existing curricula, useful academic information for students who are already studying and interesting information for prospective students, apart from the news related to the faculty and much more information related to the procedures and processes of the studies. With so much information it's often difficult to cover the needs of the different student profiles. 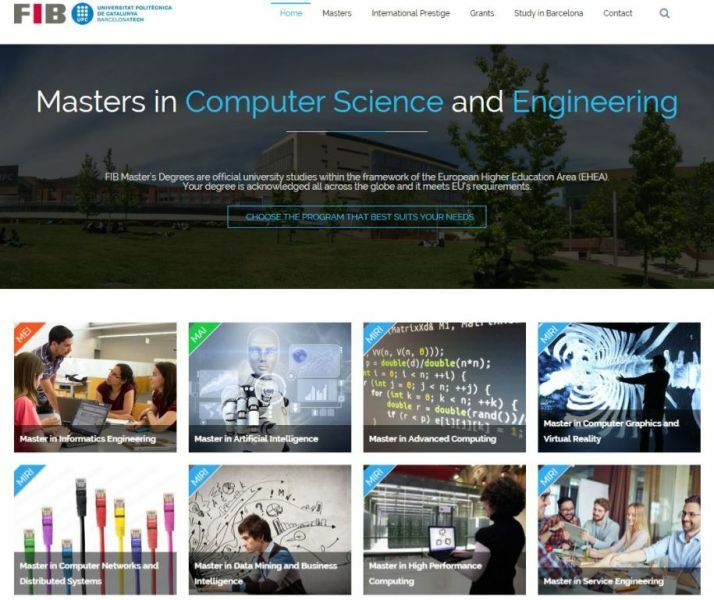 The objective of the new masters exclusive website is to promote visibility to these studies and focus on both domestic and specially foreign potential future students. The new website has been created with the Drupal content management system (version 7) using the Jollyness theme, which provides a responsive design being at the same time modern and very visual, always adapting it to the content needs.The use of the theme has also allowed the publication of the website in a very short period of time. While developing the site, we've considered different SEO techniques. Once published the web is considered the project finished, however the inLab is also in charge of its maintenance and continuous improvement.